Nuby Reusable Snack Packs 3 For $8.99! 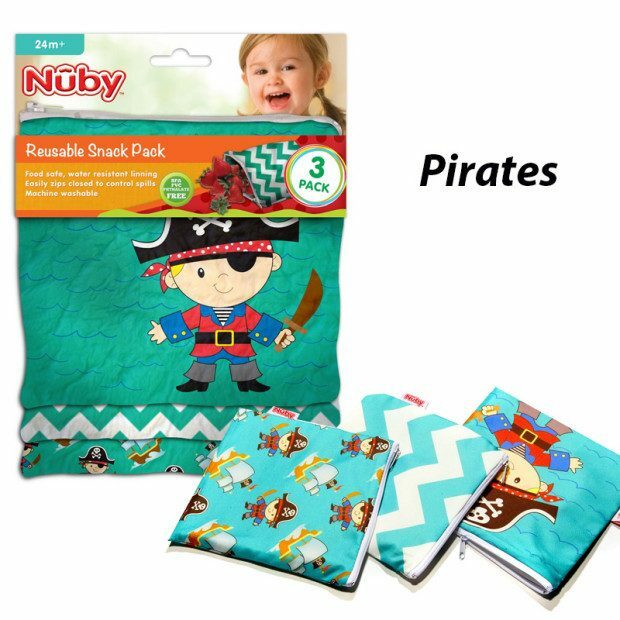 You are here: Home / Great Deals / Nuby Reusable Snack Packs 3 For $8.99! Tired of wasting money on endless boxes of storage and sandwich bags that end up tearing or leaking? Then look no further! These fun snack packs come in Alien and Pirate themes! Get the Nuby Reusable Snack Packs 3 For $8.99! The snack bags are designed to lock in spills with an easy-to-use zipper closure. Their 100% cotton exterior and food-safe, water-resistant lined interior combine to make easy clean-up a snap Best of all, the bags are machine washable, and are BPA, PVC, and phthalate free!